Lisa defends municipalities in a variety of disputes in state and federal court, including excessive force claims, negligence actions, constitutional claims, zoning disputes and breach of contract litigation. She recently defended a police officer in North Carolina state court against claims of assault, battery, false arrest, false imprisonment and malicious prosecution. Lisa also handles a variety of business litigation matters, including cases involving breach of contract, breach of noncompetition clauses, Woodson and Pleasant claims and condemnation actions. 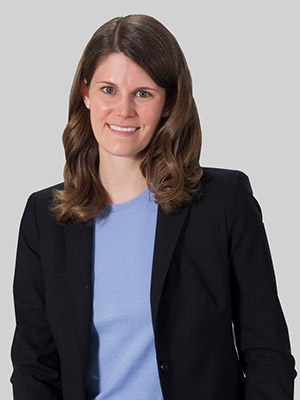 Lisa was a senior associate at Smith Moore Leatherwood LLP, which merged with Fox Rothschild in 2018. While in law school, she served as editor in chief of the North Carolina Journal of Law and Technology and received the 2010 Gressman-Pollitt Award for Outstanding Oral Advocacy, Best Overall; Ferebee Taylor Award for UNC Honor System, Chancellor's Award; Hampton Shuping Prize for Kenan-Flagler Business School, Chancellor's Award; Hal Kearns Reynolds Class of 1924 Memorial Scholarship; and Jimmy Garrell-Tabor City Award for Excellence in Leadership. Lisa volunteers with Lawyer on the Line, a p​artnership of the North Carolina Bar Association Foundation and Legal Aid of North Carolina. She co-chaired the Triad Associates' Drive for Legal Aid and participated in Smith Moore Leatherwood's Meals on Heels Group. She is a member of the Class of 2015 of Other Voices, a leadership development and community-building experience of the Greensboro Chamber of Commerce.